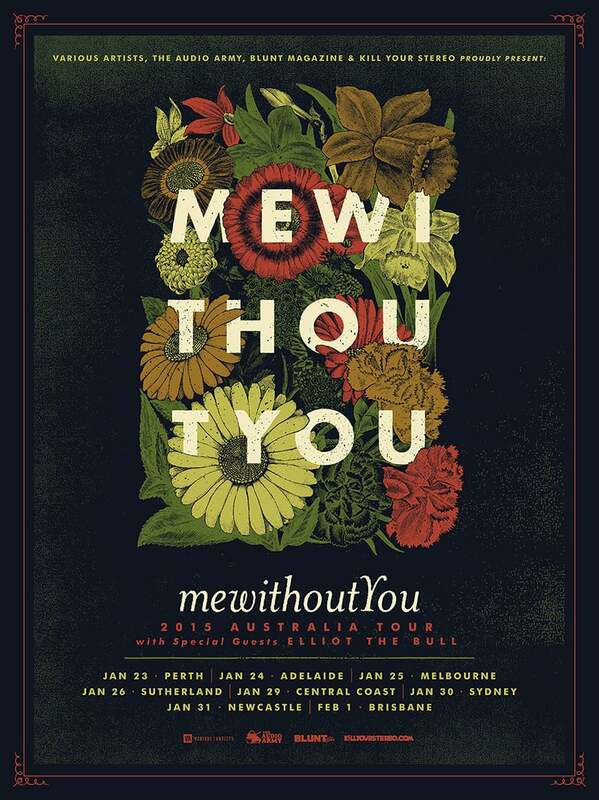 In January, my friends in mewithoutYou are headed down under to do a tour through Australia, with special guests Elliot the Bull. Their promoter, Various Artists, contacted me about making a special poster for the mwY's first trip to Australia as a full-band. We'll also be printing this illustration on t-shirts. Don't forget to LIKE the Australian Tour Facebook Page to get the latest updates on the tour.